Researchers don’t identify the sites to prevent people from visiting them and contributing to spread of the fungus. White-nose syndrome gets its name from the white fungal growth on the nose and wings of infected bats. The disease causes bats to come out of hibernation too soon, causing them to use up their fat reserves necessary for surviving the winter. Infected bats usually die of starvation or dehydration. “These were calls of people finding three, four, five, bats, sometimes more, all huddled up under the alcoves of their houses outside, on top of one another, trying to get heat,” said Elderkin, who works in Kentville. Elderkin said their needs to be more investment into research on the disease. The fungus, which is not native to North America, was first identified in New York State in 2006. It was detected in Canada during the winter of 2009-2010. It has been confirmed in Ontario, Quebec, New Brunswick and Nova Scotia. Nova Scotia has three species of bats: tri-coloured bat, little brown myotis, and northern myotis, all of which are highly vulnerable to the fungus. “In other areas (outside the province), these species numbers have declined by upwards of 80 to 90 per cent in three or four years,” Broders said. 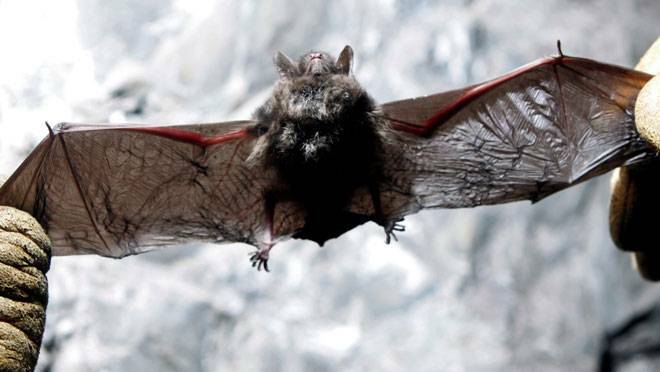 In February, an emergency sub-committee of the Committee on Status of Endangered Wildlife in Canada assessed all three bat species as endangered in Canada because of the rapid spread of white-nose syndrome. Bats play an important role in insect control and pollination. “There is a whole variety of goods and services that they provide humans free of charge,” Elderkin said.